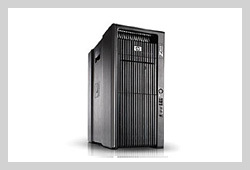 PCS offers a complete line of business class computers and workstations to meet your needs with the service ability to protect your investment. There are 3 classes of business computers: Standard Level, Mid-level and High Performance. 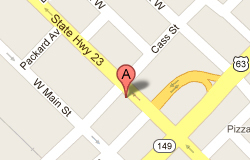 As the only Authorized Service Center in SE Iowa we not only sell, but we also service what we sell as well as provide warranty service for other area resellers. Standard level systems offer the lowest entry level cost yet still offer serviceability. Mid-level systems offer better performance and serviceability. High Performance systems are engineered for the maximum speed and efficiency of the entire system and subcomponents. PCS does not offer the consumer grade computers available at the online and big box stores. These systems are built to a price point with little to no thought given to after warranty serviceability and performance. 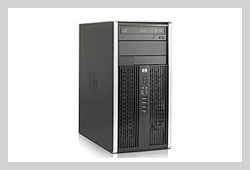 The HP Essential Desktop PC is great for checking email, writing text documents, or surfing the web. 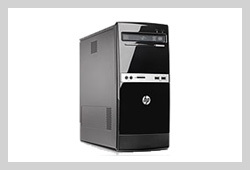 The HP Essential Desktops are the most economical option; however, if you plan on running multiple programs or applications at the same time, then you may want to consider an Elite Desktop PC. Offers multiple case size designs and a range of features to meet most needs with a balance of cost, performance and expandability.